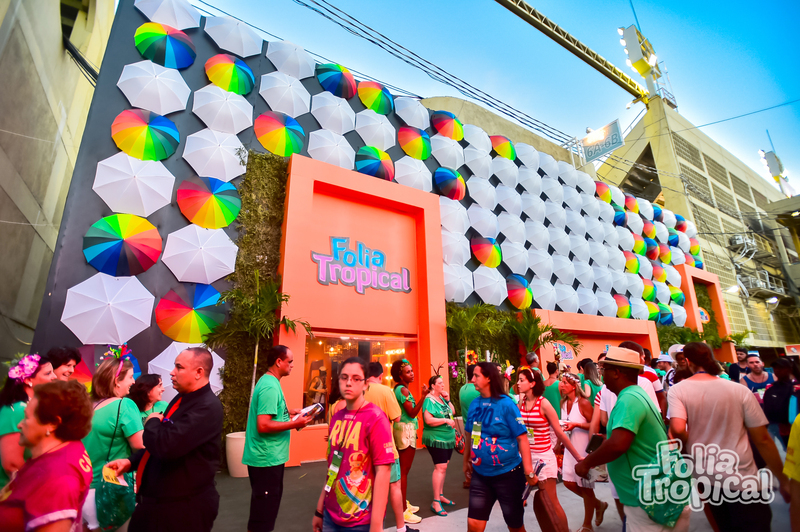 FOLIA TROPICAL | Rio de Janeiro carnival tickets. carnival rio tickets. Rio carnival parade sambadrome tickets. 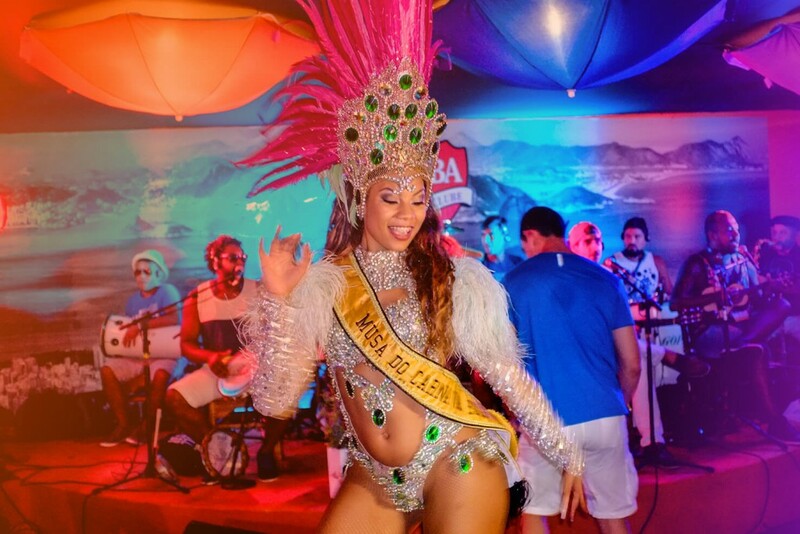 carnival rio de janeiro cheap prices Rio Carnival Parade Tickets. 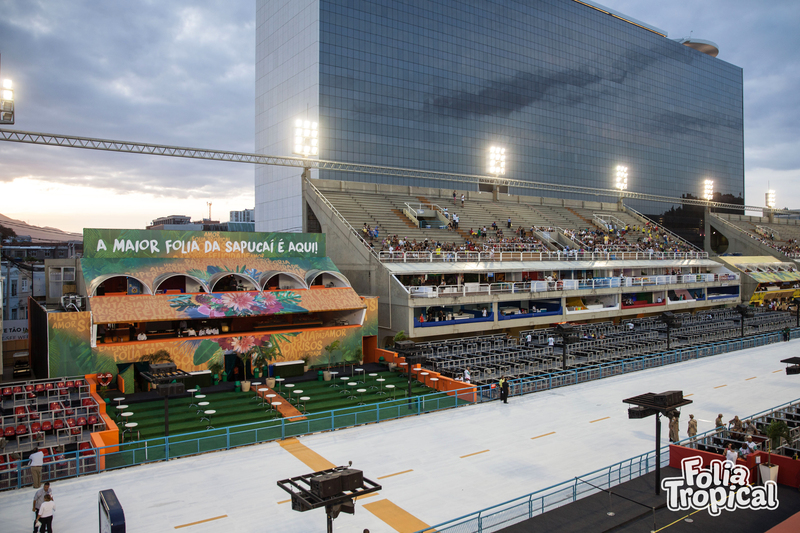 Located in Sector 6, it is an area with a capacity for 1000 people. 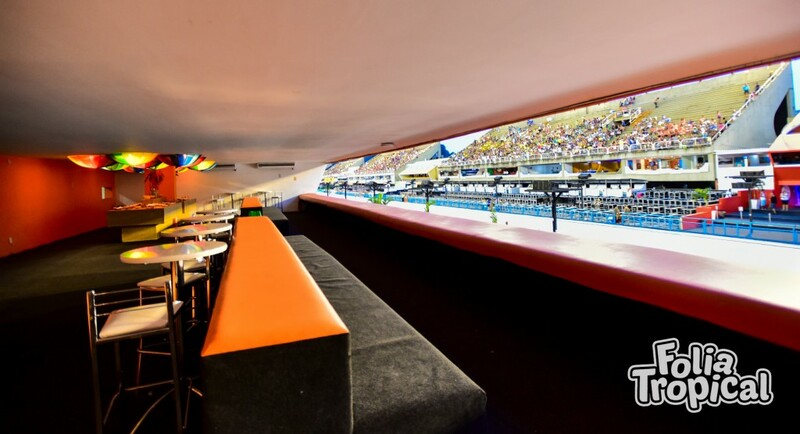 The purchase of the ticket includes access to the cabin and the lounge area located next to the parade track. 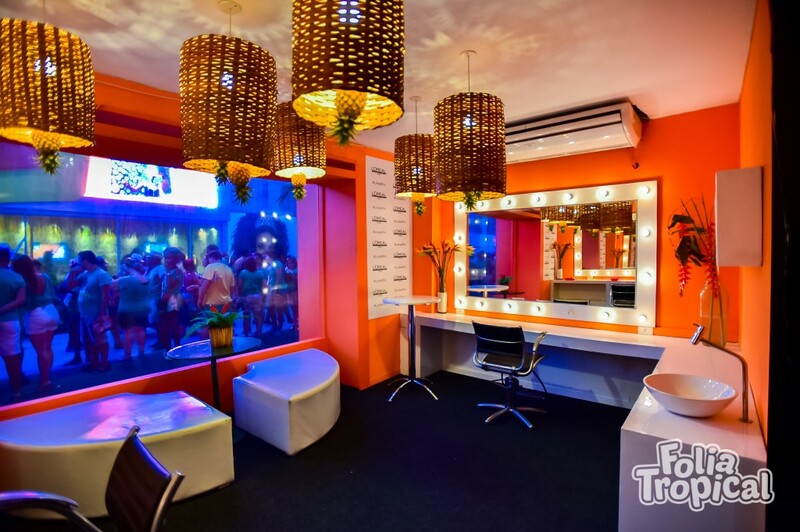 Includes free bar (open bar), VIP Buffet, DJ, dance floor, beauty spa, shows in the intervals, waiter, security and transfers departing from two meeting points, one of them in Barra da Tijuca and in the South Zone of Rio. It occupies a huge area of 1600m², divided into 6 rooms with 2 floors, either in the heart of the Sambadrome, in Sector 6. Receptionist bilingual English / Portuguese throughout the parade and security personnel. 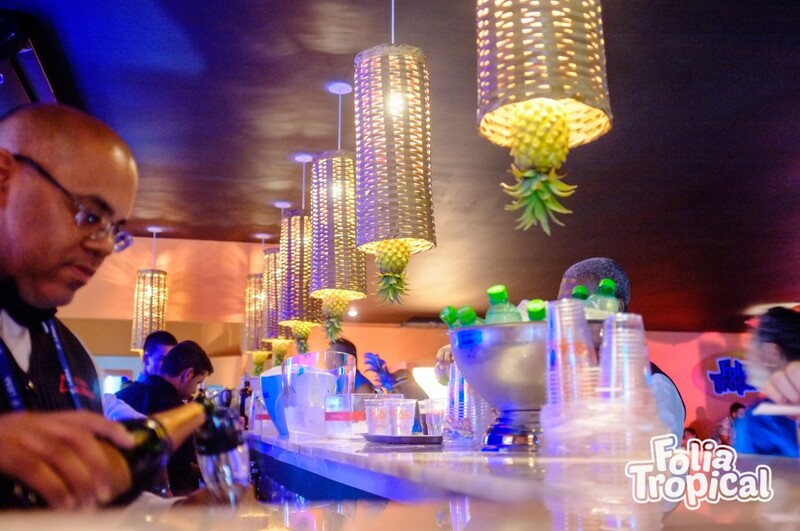 Decorated and air-conditioned environment. The use of the event t-shirt is mandatory (included). Catering of international category, with free bar of imported whiskey, vodka, sparkling wine, caipirinhas, beer, refrigerant and other. Buffet of cheeses, cold and hot appertizers, bread baskets, tropical fruits, dinner, desserts and breakfast (after last school). Doubts, questions, get in through our Whatsapp.